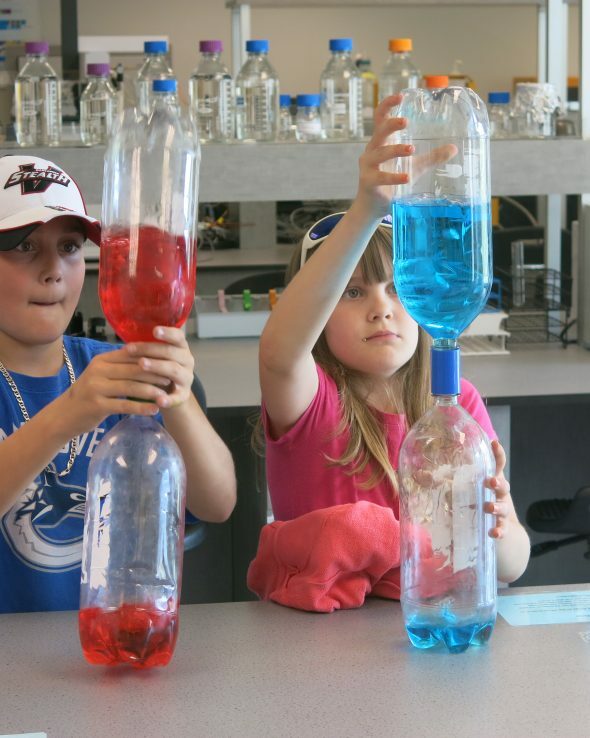 In conjunction with hundreds of other events held across Canada for Science Odyssey week, KPU Langley will be hosting a Science Rendezvous for the sixth year in a row. The event is free to the public and will be held on May 12 from 11:00 am to 3:00 pm. Event organizers from the Faculty of Science and Horticulture, Triona King and DeAnn Bremner, have high hopes for the Rendezvous. They expect approximately 3,000 people to attend this year. “It’s kind of a way to celebrate science,” says King. Approximately 150 student and faculty volunteers will be operating 50 different activities, tours, and workshops for the event. Most of the campus and the science labs will be open to all, and attendees will get to participate in hands-on activities. “Every department comes out and shows something that’s really cool and fun,” says Bremner. Some of the activities will include touring real science labs and performing experiments, engaging with virtual reality stations, and taking part in musical percussion workshops. Attendees will also be able to participate in water science activities, attend a workshop with a former Ferrari designer, and visit the brewing lab to sample student-brewed beer. King says that one of the biggest draws for the event is an interactive and engaging chemistry magic show held in the campus auditorium which, in the past, has succeeded in filling up the entire 250-seat auditorium. One of the main goals for the organizers of the Science Rendezvous is to engage the curiosity of children and families. Another goal of the Rendezvous is community outreach. According to King, it’s part of KPU’s vision to hold public events which connect the university to the community, and the Rendezvous is one of their most successful methods of achieving this goal. 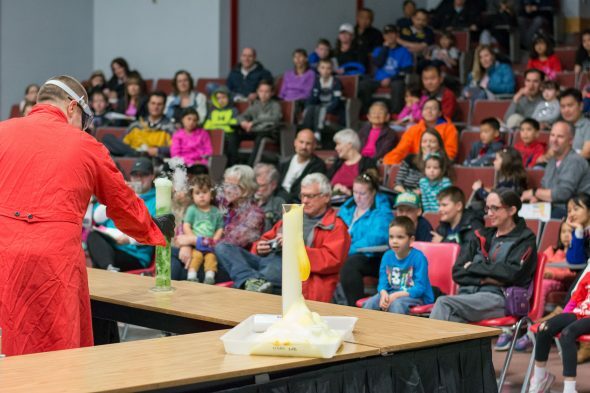 “Science Rendezvous is absolutely a way to instill a love of science and inspire specifically young minds who want to pursue … a career or education in science,” says Bremner.